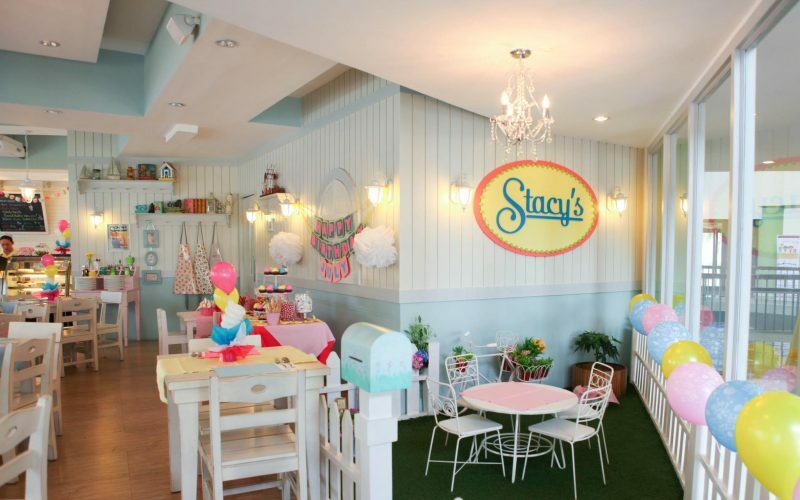 Stacy’s helps to bring out your mom’s youthful glow with its cute and youthful atmosphere. 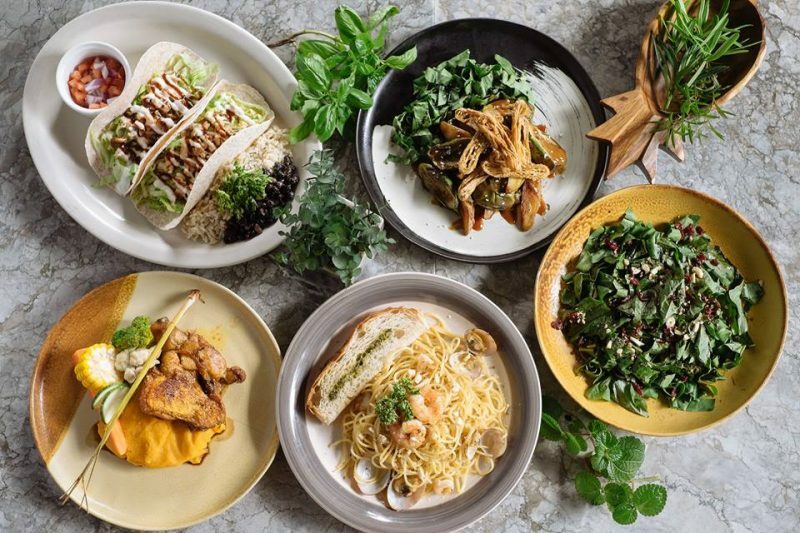 Some of Stacy’s best-seller are the Grilled Shrimp with Pomelo salad, Stacy Jone Breakfast meal which comes with yakiniku cut US beef sirloin tapa served with eggs, tomatoes and garlic rice. Also, don’t forget to try their Candy Vanilla Milkshake which is a great treat while you and your mom share good stories and laughs. Steaks are not just for dad – they are for moms too! 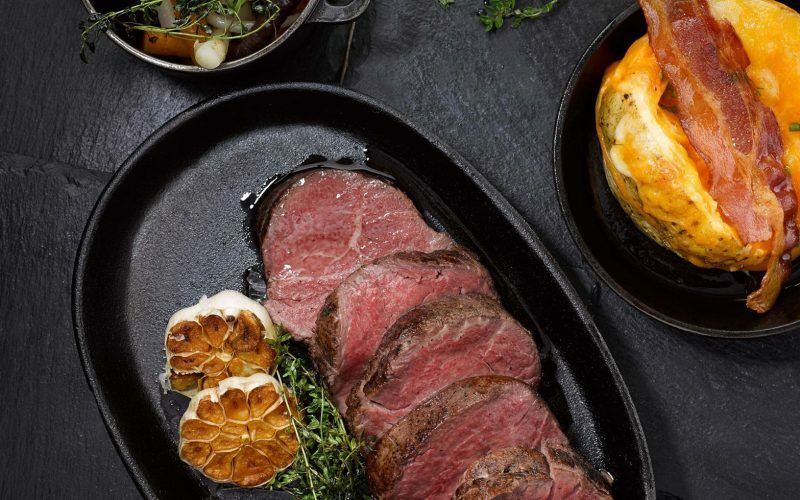 Cru Steakhouse is the best place to celebrate Mother’s day and the best dish for her would have to be Cru’s US Certified Angus Beef Prime Rib Steak(900g) dish which comes with 5 side dishes of your choice – a full packed dish perfect for a celebration. And to grace the celebration, pair the succulent steak with a glass of wine. Cru Steakhouse also offers a wide choice of wine coming from different parts of the world. 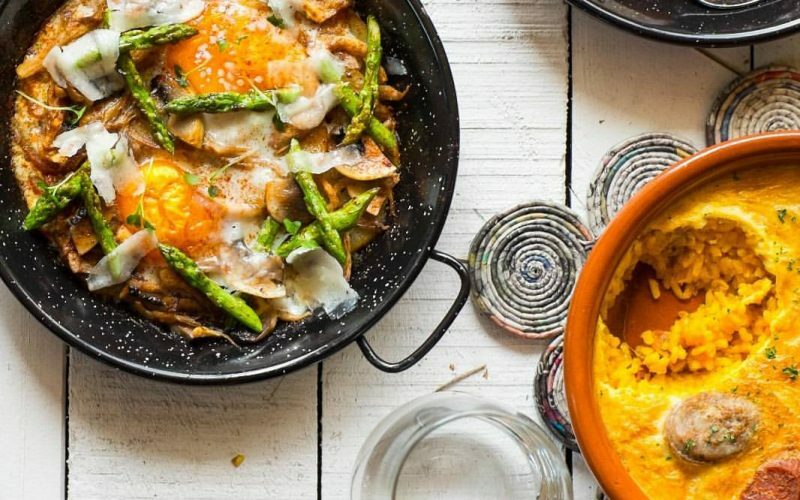 ArroZeria mainly offers Spanish dishes like paellas and tapas. 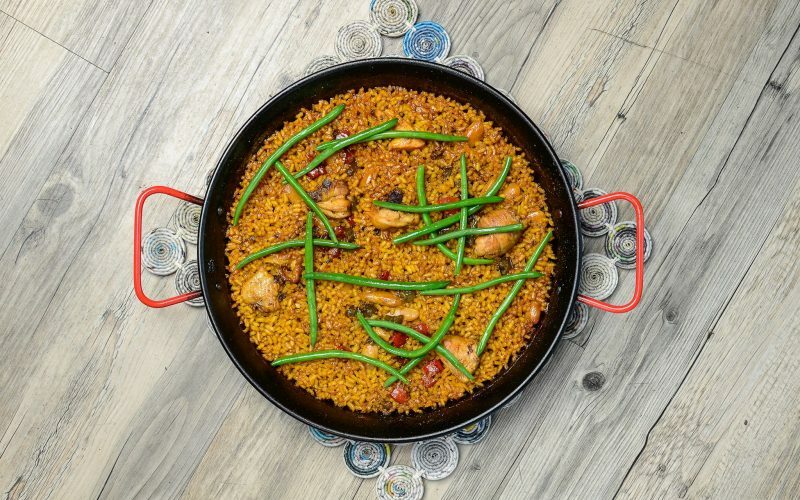 The restaurant is a great choice for celebrating special occasions with the family as it is known to serve family size authentic Spanish paellas. For starters try their Carpaccio de Atun which is made of Tuna Carpaccio, tomato, calamansi and crispy Jamon and for the main dish try its paella Abanda. 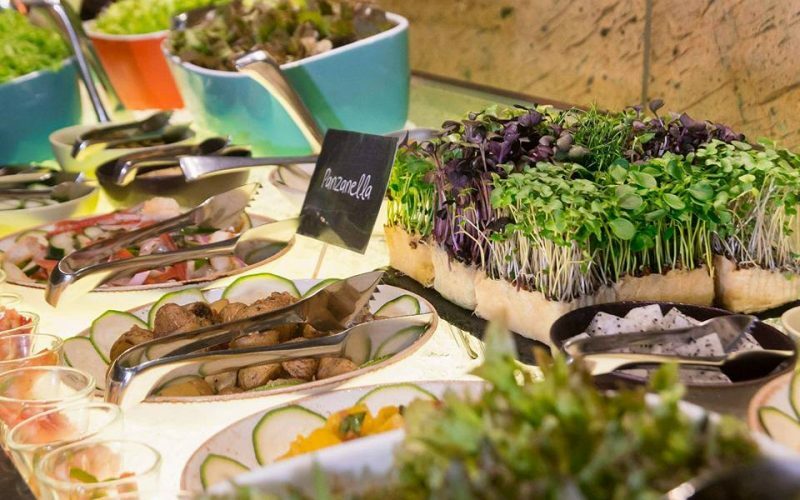 Tapenade offers Mediterranean cuisine and is known for its Tapenade Salad Room, a buffet where you can create your own salad from vast choices of greens, vegetables, oils, different types of cheese and cold cuts. 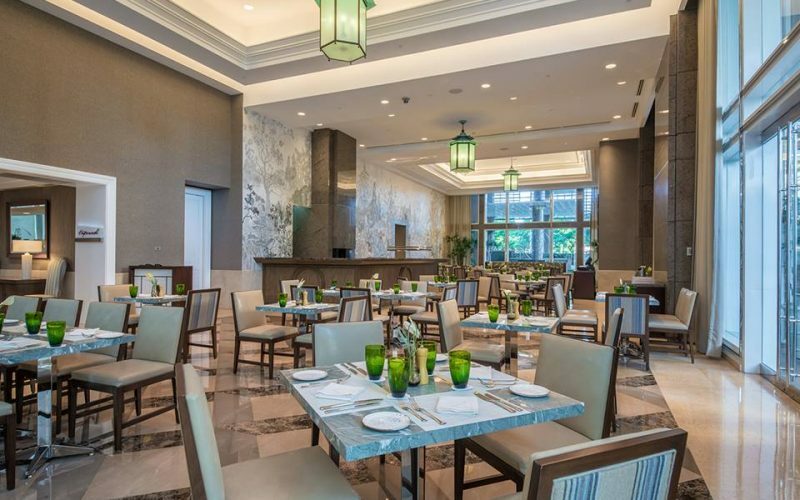 The buffet also features fresh oysters that are freshly harvested from Aklan. 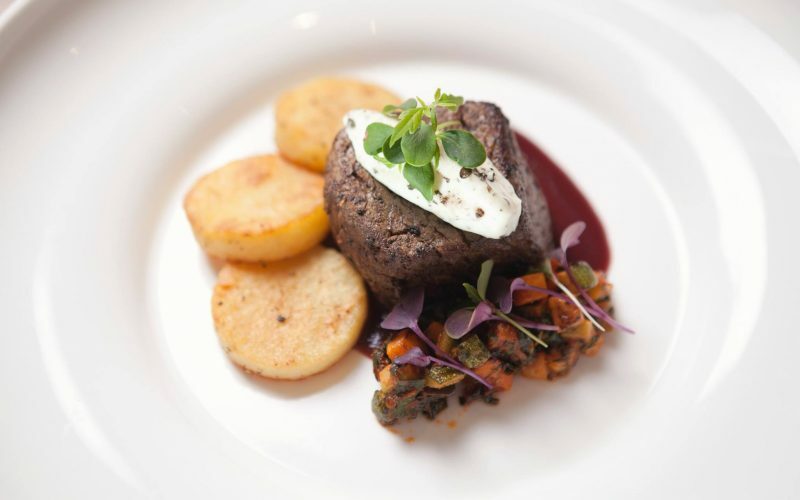 Aside from the salad room, Tapenade also serves solo dishes like Stone baked feta cheese and Porcini crusted U.S Angus Rib Eye Steak which is one of the best sellers. 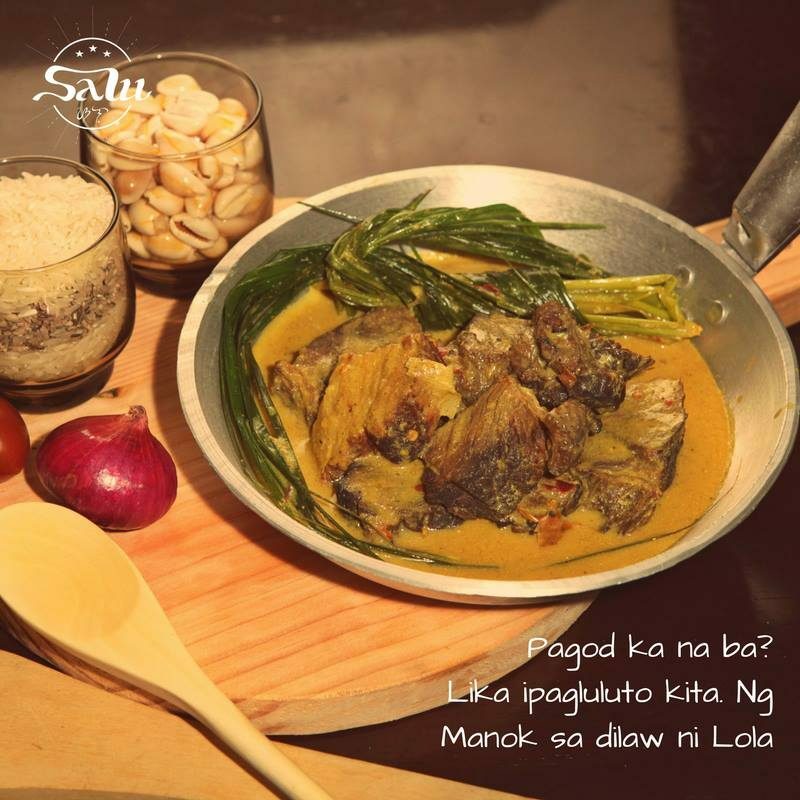 Salu offers a comprehensive menu of Filipino dishes from Luzon, Visayas to Mindanao. Try some of their top selling dishes like Binukadkad Na Hito (deep fried catfish) which represents Luzon, Cebu Bellychon for Visayas and Tiyula Itum which is a spicy meal made of black soup with beef and burnt coconut meat, one of the dishes that represents Mindanao. By the looks of the shop from its facade, a small garden full of colorful plants in pots, this cabin-like shop is a haven for fit buffs and health conscious alike. 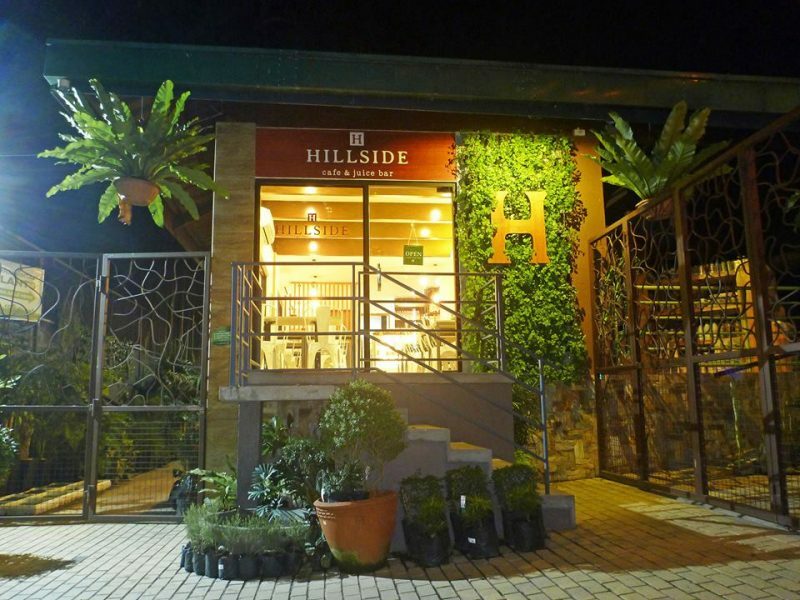 Hillside Cafe and Juice Bar is a rustic shack that offers smoothies, detox juices, and wholesome fares. Some of the must-try here are the Falafel Soft Tacos or chickpea balls served with cilantro brown rice, salsa and black beans, Pesto- Crusted Chicken Parmigiana, a meal made of zucchini spaghetti with chickpeas, sweetcorn and topped with melted cheese and sweet potato chips and its Banana Almond Blast smoothies which is composed of banana, dates, peanut butter, carrot, coconut sugar and cashew milk.